Celebrate New Year’s with the 131st Annual Tournament of Roses Parade in sunny Pasadena, California. You’ll have reserved premium grandstand seats along with a souvenir program and blanket. The Parade features colorful floral floats, energetic marching bands, high-stepping equestrian and more. This trip also includes an exclusive New Year’s Eve Party, a Southern California Backyard BBQ, and a special movie night “under the stars”. Day 1 – Arrive Los Angeles – Arrive in Los Angeles, CA. A motorcoach will be waiting to transfer you to your hotel. Check into the Hotel Irvine for a tour night stay. The Hotel Irvine offers superior amenities including luxurious bedding, a fitness center featuring state of the art cardio and strengthening equipment, basketball and tennis courts, and much more. Tonight, enjoy a welcome dinner at the hotel. Day 2 – Rose Parade Floats & Beach Time – After breakfast at the hotel, you will take a tour of the Rose Parade Float Decorating Barn. Watch as the finishing touches are being made to the floats before they make their debut in the parade. You will see a variety of fruit, seeds, bark, grasses and of course, breathtaking flowers being applied to the floats by hard working volunteers as well as experienced professionals. After viewing the floats, you’ll be treated to lunch in Beverly Hills at Lawry’s The Prime Rib Restaurant. The moment you arrive, you’ll know Lawry’s The Prime Rib is an extraordinary restaurant – a place of grand style, classic elegance, luxurious comfort and home of the world famous Lawry’s Seasoned Salt. This afternoon, you will enjoy a little beach time. You will stop at one of the following: Santa Monica Pier, Venice Beach or Seal Beach. Enjoy a free evening and dinner on your own. The Hotel Irvine offers shuttle service to the Irvine Spectrum Center featuring Nordstrom and Target, along with more than 120 stores. It has an outdoor carousel and a 6,400-seat, 21-screen movie theatre. Beyond shopping, Irvine Spectrum Center truly is a one-stop entertainment destination, complete with the Improv Comedy Club, a 21-screen movie and IMAX theater, a 24-hour fitness center, a spa and more than 30 dining establishments for everything from a gourmet meal to a quick cup of frozen yogurt or a latte on the go. Day 3 – Choose your Adventure Day & New Year’s Eve Party – Today, you get to choose how you want to spend the day: Warner Bros. 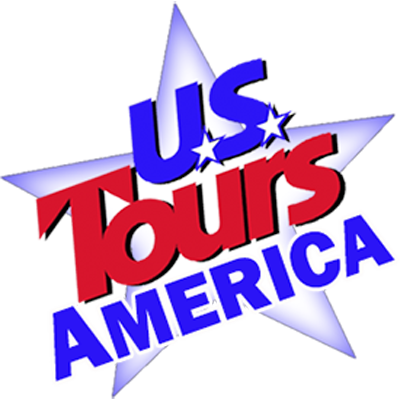 Studio Tour, Universal Citywalk and Hollywood City Tour or Catalina Island with Roundtrip Ferry ride. At Warner Brothers, you’ll get an insider’s look at one of Hollywood’s busiest and most famous motion picture studios. On this fun tour, you’ll get an intimate, historical and educational behind-the-scenes view of an actual working studio by trams throughout the backlot. Next, visit Universal Citywalk, the name given to the entertainment and retail district located adjacent to Universal Studios. There are more than two dozen great dining options and over 30 unique stores in this exciting marketplace. Enjoy lunch on own here. Then it’s onto Hollywood. The history of Hollywood will come to life as you explore Hollywood’s Past and Present. Your knowledgeable tour guide will take you to the center of the glitz and glam. You also visit Grumman’s Chinese Theatre, the Hollywood Walk of Fame and much more. You’ll board one of the Catalina Express ferries for a short one-hour cruise to the island. These vessels offer both inside and outside seating, as well as a snack bar and restroom facilities on board for your comfort. You’ll log some 26 miles as you sail the calm ocean waters over to Catalina Island. As you approach the island, you’ll first see the misty green peaks of a mountain range that rise from the ocean floor to form this and the other Channel Islands. Next, your eyes will be drawn to the gleaming buildings climbing the hillside above the Mediterranean-style port of Avalon and its legendary casino. And finally, you’ll sail into the thriving harbor, alive with pleasure boats and the occasional cruise ship. Once you arrive, the day is yours to get acquainted with the storybook town of Avalon, which you’ll find is packed with boutiques, restaurants and things to do! You might want to take a cruise aboard the Glass Bottom Boat, tour the historic Casino, take a guided tour of Avalon, or rent a golf cart or bicycle or sightseeing on your own this afternoon. You will be on the island from 10:50am until 3:45pm. (To book attractions and island tours in advance, please go to www.visitcatalinaisland.com/activities-adventures). Tonight, enjoy an exclusive New Year’s Eve Party. The evening is filled with elegant dining, dancing to a live band, and the fun of a live “Monte Carlo” style casino. There will be hats and party favors, a drawing for exciting prizes and a champagne toast to ring in 2020! Day 4 – The Rose Parade – After breakfast at the hotel, it is time for the Rose Parade. You head to Pasadena for the 131st Annual Tournament of Roses Parade. You will have Reserved Premium Grandstand Seats for the parade as you watch the parade head down Colorado Boulevard. A souvenir program and blanket are included. The Parade features colorful floral floats, energetic marching bands, high-stepping equestrian and more. After the parade, you return to the hotel for a special Southern California Backyard BBQ. The remainder of the afternoon is at your leisure. In the evening, there will be a special movie night “under the stars”. Dinner is on your own this evening. Bring a picnic dinner from the Marketplace and don’t forget the wine! Day 5 – Depart for Home – Following breakfast this morning, you will be transferred to the airport for your return flight home.